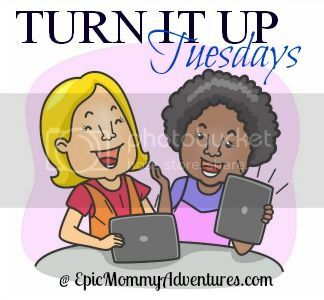 I was given the opportunity to be one of the co-hosts of Turn It Up Tuesdays from Natasha of Epic Mommy Adventures. I am so excited for this is my first time to co-host a blog hop! Join us with this party today! Week 3 of Turn It Up Tuesdays is here! Last week we had a total of 54 link-ups! We hope to exceed that accomplishment this week! Thank you to all those who joined in the fun! "The kids and I are huge donut lovers, and these include two of my lil' man's favorite ingredients...apples and cinnamon sugar." "Marty painted a beautiful picture of the power of kindness. You never know, your kindness could change or even save a life!" "This time it was really tough. I have like 5 or 6 that I thought were fantastic! After much thought, I think that Chasing Rabbits by Home on Deranged was the best! It was amusing and well-written." Natasha: "I absolutely love this post! So amazingly funny...and so true! This post truly brightened up my day!" 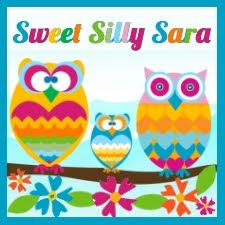 Miriam: "These are good advices I really like post #3 that is funny. And I agree to being married is hard work sometimes I think its harder then taking care of kids." Next week, we will be offering 60 days free ad space on Epic Mommy Adventures and 30 days free ad space on This Momma's Ramblings to the Best of the Best! and to our new co-hosts for October! It is only $5 a month! If you are interested, please complete this form. Natasha will respond with the month that you will be co-hosting. Monthly co-hosts will be chosen on a first come first-serve basis. Co-hosts will receive free ad space on Epic Mommy Adventures for 60 days! Hi Kareen! Thank you for co-hosting Turn It Up Tuesday! Have a great day!